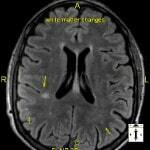 WHY is 3 Tesla MRI so important in neuro imaging? Magnetic Field Strength is one of the key dynamics that contributes to production of higher quality images, thinner slice thickness and potentially earlier detection of pathology. Magnetic field strength is measured in “Tesla” units. A “Tesla” (1T) is equal to 20,000 times the pull of Earth’s magnetic field. 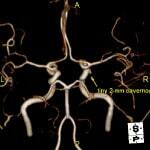 Therefore, our 3T MRI scanner is 60,000 times stronger than the pull of Earth’s magnetic field. 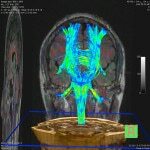 Relative to diagnostic imaging machines, the 3Tesla MRI scanner at Siker Medical Imaging has a magnetic field strength ten times more powerful than that of most Open Architecture MRI scanners in use today, in turn providing much higher quality imaging at the same cost to the patient. Of equal importance to understand is that there have been dramatic improvements in the software used to collect and process imaging data over the last few years making older fixed 1.5T and Open Architecture MRI scanners obsolete. There are very few centers in the Northwest that offer the most advanced technology. 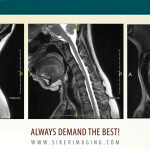 Siker Medical Imaging is a leader among them.